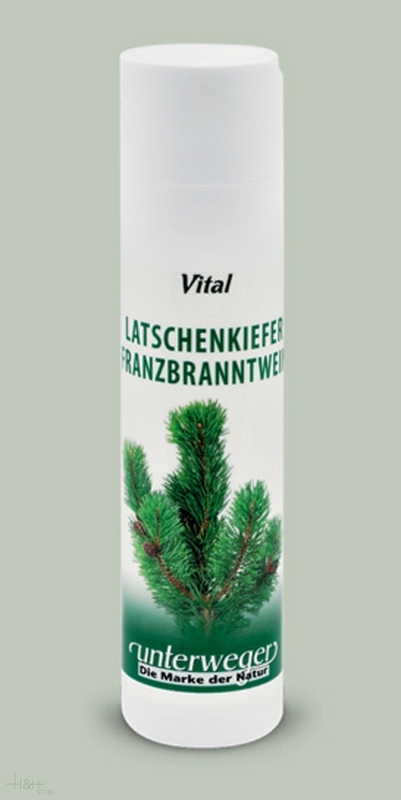 Franzbranntwein Tyrolean Mountain Pine 250 ml. - A product the Tyrolean mountains. Contains u.a. Alcohol, menthol and as a special active ingredient pure mountain pine oil the Tyrolean high mountains. Refreshing and soothing in case of limbs, fatigue, overstraining and exhaustion. Application: For external use only! Do not get in eyes! Do not use for children under 3 years! Stop immediately if skin irritation occurs! All very good, thank you. I was very satisgied with the product ..